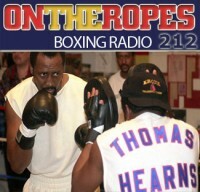 “On the Ropes” Boxing Radio is back this week with host Jenna J to welcome in a new year of boxing. In this episode, I will speak about the recent announcement that Manny Pacquiao will be returning to the ring this April to face unbeaten Australian fighter, Jeff Horn. I will talk about Pacquiao’s decision to face a relatively unknown contender and what to expect from the bout. I will also be talking about some of the possible high-level matchups that fans could see in 2017. Lastly, I will preview the first big fight night of the year as WBC super middleweight champ, Badou Jack faces Olympic gold medalist and IBF super middleweight champ, James DeGale. 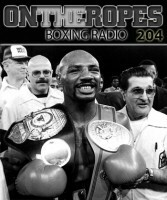 Click play on the audio player to listen to the latest edition of “On The Ropes”. 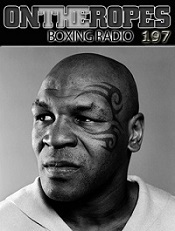 The first guest of the show is Hall of Fame boxing trainer, Ronnie Shields. 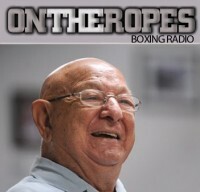 Ronnie makes a return to the show to speak about Erislandy Lara’s fight against former champ, Yuri Foreman, which takes place this Friday night. Shields discusses the preparations for the bout and what fights he hopes Lara can get this year. Ronnie also gives an update on Jermall Charlo, and his future plans following his devastating win over Julian Williams. Additionally, he speaks about the potential of Lara and Charlo moving up to middleweight to face IBO champ, Gennady Golovkin, and how he see them matching up with the hard-hitting Kazakh star. Lastly, Shields gives his views on Gennady Golovkin possibly fighting Canelo Alvarez. 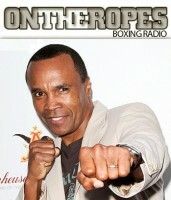 The second guest of the program is lightweight contender, Lydell Rhodes. After rebounding from a pair of defeats in 2016, Rhodes now is contemplating a move down in weight to the 130lb division. Lydell speaks about the likelihood of a move down in weight, as well as what matchups interest him in the junior lightweight division. I also get Lydell’s thoughts on Manny Pacquiao vs. Jeff Horn and how much longer he feels Pacquiao will keep fighting. In addition, I get Rhodes’ views on the impact the Mayweather-Pacquaio fight had on the sport and if he feels the sport would be better off if it had not taken place. The main guest to the show is none other than the current WBC heavyweight champion, Deontay Wilder, to discuss his upcoming bout with Andrzej Wawrzyk. Wilder fought twice early in 2016 but dealt with hand injuries that forced him to be on the sidelines for the latter part of the year, but after taking time off to recover, he now looks to get back into the ring to continue his championship run. Wilder comments on the big fight scheduled between Wladimir Klitschko and current IBF heavyweight champ, Anthony Joshua, and how he sees the fight playing out. Deontay also speaks about Shannon Briggs and if he would like to face off with the former champ. Lastly, he gives his thoughts on his own future in the division and his long-term goals in the sport. 2 Responses to "Deontay Wilder on his fight & facing Anthony Joshua. Ronnie Shield’s on Lara, Charlo & Pacquiao-Crawford. 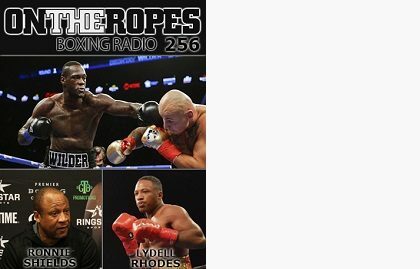 Lydell Rhodes speaks on future & Pacquiao vs Horn – OTR #256"
Wilder really needs to step it up this year. I hope this next fight is his last give me bout.